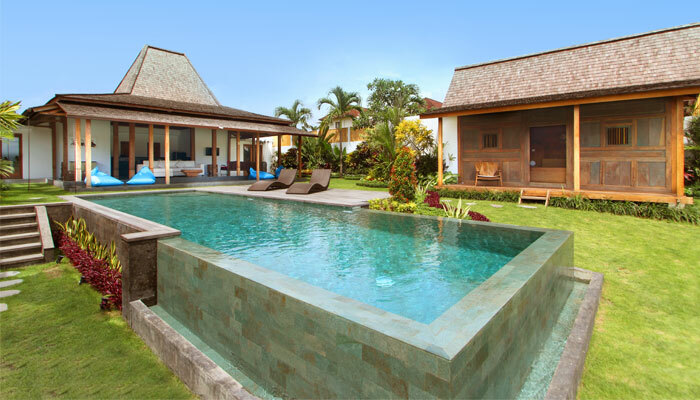 Villa Gallici, located 500 m from Seminyak beach, will enchant you with its modern architecture in the typical style of today’s Balinese tropical villas. You are only a few minutes’ walk from restaurants, bars, spas as well as the Oberoi Street where you will find all the trendy boutiques of Bali. Your holiday home consists of 3 beautiful bedrooms with en suite bathrooms. A spacious living area opened on the tropical garden waits for you to relax, have diner or cook if you wish. Just beside, you have a private air-conditioned TV room to enjoy a movie, listen to music or just to chill out. If necessary, the room can also be used as an extra bedroom for a child. 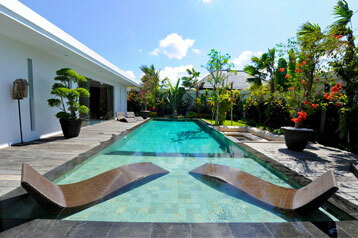 At the center of this comfy villa, the pool is surrounded by the lush garden. Next to, on the deck, the sun loungers are available if you want to languish under the sun, drink a juice or an exotic cocktail. You have review for Villa gallici?